Fire apparatus crashes account for 25 percent of firefighter line of duty deaths, second only to medical emergencies. From a training and evaluation perspective, what we don’t see enough of are solid after action reports from these incidents – with real lessons learned to share across our industries. 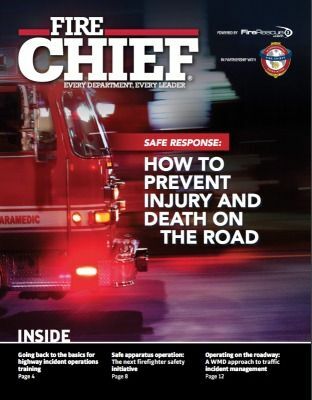 In this edition of Fire Chief Digital, we explore improvements in apparatus safety, and the need for a renewed look at the importance of driver training and operator understanding. You can view the issue as a digital magazine or download as a PDF.